Q. If one of my employees steals a vehicle from the lot, where in the policy is it covered? A. If the vehicle is stolen by an employee, most garage policies will cover it under employee dishonesty rather than under the open lot coverage in the package. For that reason, you need to make sure your employee dishonesty coverage limits are at least high enough to cover the loss of the most expensive vehicle that you carry in inventory. This is not to mention the possibility of multiple vehicles being stolen by the employee. Q. What are some of the concerns that should be addressed when switching from a “claims made” policy to an “occurrence” policy? A. It is important to note that some coverage endorsements such as EPLI, Title or Odometer E & O may be on a “claims made” or “occurrence” basis.. If you are changing garage liability carriers you need to know what type of policy you are switching “from” or “to”. It is generally safe to switch from an “occurrence” to a “claims made” policy. However, if switching from a “claims made” policy to an “occurrence” policy you can have a coverage gap unless you purchase an extended reporting period. Q. What is the difference between Garage keepers Liability coverage and Garage Liability coverage? Q. 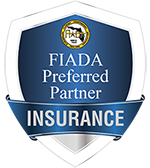 What is an Additional Insured Endorsement? A. An Additional Insured Endorsement is an attachment to the Certificate of Insurance which serves to amend your policy to allow the additionally insured party certain rights to your coverage, such as the right to defense against alleged negligence on your part. Q. How can I determine the financial health of an insurance carrier? Q. What does this cover? A. The insuring agreements within the policy will detail what is and is not covered. The glossary of liability insurance terms available on this site is a good resource to be sure you understand its terms. Q. What is the purpose of a Certificate of Insurance? A. A Certificate of Insurance is an information-only document that provides the details of your insurance program to interested parties. The Certificate does not alter or change your coverage; it is only a snapshot of the coverage you have. A. The better question is “how much do I have at risk?” For property coverage, how much would it cost to restore your building and contents to the same condition as before the loss. For liability, how large a settlement could your company afford to pay and still remain in business? If the answer to that question is “not too large” and your operations could lead to large judgments against you, higher limits are advisable.